Beautiful work! I love both of your work – geez you both have such fantastic talent! On her site, I absolutely love the mural with the tree in the corner, hanging down….I can almost picture the breeze going through the leaves. What a strange coincidence. My name is also Michelle and I also have a company called Michelle’s Murals. 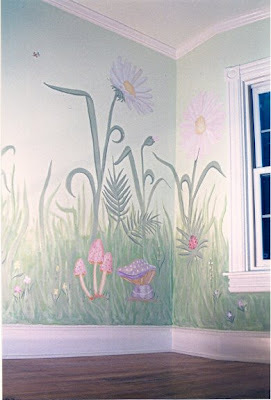 I have also painted some large flower murals and many more. But that is where the similarities end. I live in Johannesburg in South Africa, a million miles from my favourite city in the world… New York!